You can add unlimited domains, this capability is available for all users regardless of which plan you have. Navigate to the "Dashboard" and click "Add Domain". Complete the information on the Add Domain page. Domain name - Enter a path that can be found (do not include https:// or www). Display name - This is the name that you will see displayed when working with your data. If you are working with lots of different domains then it’s important to give a display name that is easily differentiated. Default search locale - Choose the location (country) for which you want to track your keyword rankings. Belongs to Group - Allocate your domain to a group. Local Results (Optional) - Here you can input your Google business name. Adding this will enable AccuRanker to find the ranking data, even when Google does not include a link in the local results on the SERP. Include subdomains - Check this box if you want to include results from any sub domains. 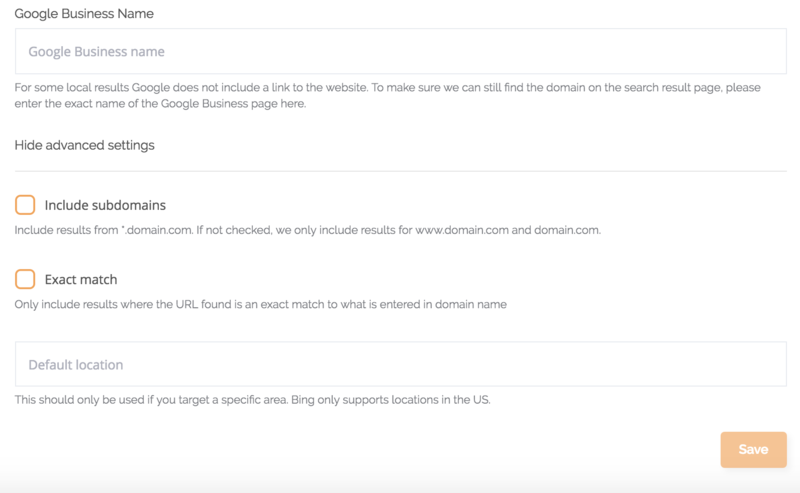 Exact match - Check this box to only include results where to URL found is an exact match to what is entered in “domain name”. Default location - This should only be used if you target a specific area. Bing only supports locations in the US. Click “Add Domain” to finalize all your preferences and confirm the addition of your domain. 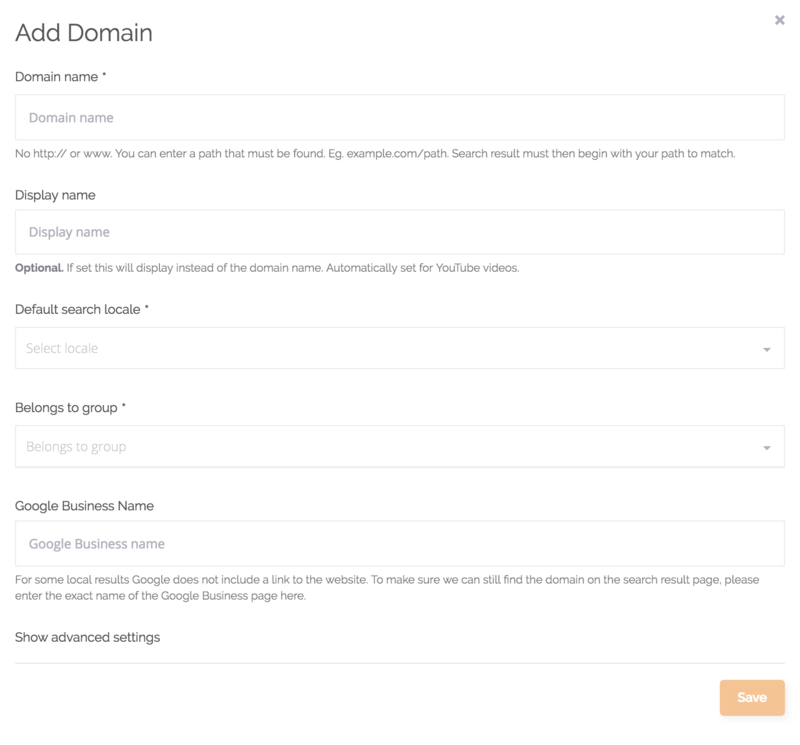 You can edit a domain from the Domain overview. Click on the Domain that you want to edit and click on the pencil icon to bring up the editing options. Now that you know everything about adding domains, the next logical step is to add keywords. Click here to read more.